One of Asia's biggest crude oil producer and considered as the second largest crude producer in Indonesia, PT Pertamina, is now planning to invest $1 billion for the development of liquified natural gas (LNG) in the Philippines. The plans of PT Pertamina for Philippine expansion will be made through a regasification hub project according to the confirmation made by the Department of Trade and Industry (DTI). Secretary Ramon Lopez of the Department of Trade and Industry said that PT Pertamina has expressed interest to do business in the Philippines by being involved in LNG development in the country under the administration of Pres. Rody Duterte. Sec. Lopez already met with PT Pertamina officials last Tuesday. "The Philippines is very much open for LNG investors. We will assist and work with them in looking for trusted partners until they begin their operations," he said. 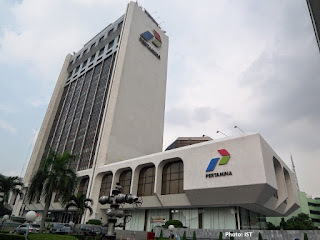 PT Pertamina corporate marketing director Basuki Trikora Putra said the firm is ready to offer integrated LNG solutions by investing in FSRU (floating storage and regasification unit) or land-based LNG regasification and provide competitive LNG supply. "Having a long experience as one of the world leading LNG global players, we would like to share the same experience in the Philippines. We are really keen to invest in the Philippines,” Putra said. After the DTI, PT Pertamina is also set to hold a meeting with officials of the Board of Investments, Department of Energy and Energy Regulatory Commission to learn about the country’s plans and policies on energy and investment. PT Pertamina is considered as one of Indonesia's major player in the oil industry, it is a state-owned national energy company of Indonesia.